I recently received an email from a Track Coach in North Carolina asking my opinion as to "the role of strength training In-Season?" Much debate has occurred over the years, with Coaches, Athletes, and Physiologists all weighing in. You'd think that a consensus would arrive. Ask any Coach and they'll surely have an answer. The problem is that despite the debate, literature, and research the "experts" still don't agree. 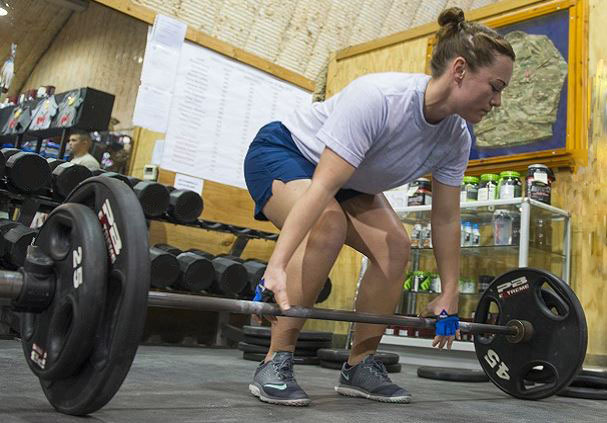 Let's examine some of the conventional arguments for and against In-Season Strength Training. The "For" Crowd believes that you should gain strength in the Off-Season and maintain strength during the season. This group believes that while competition and recovery are the more important factors during the season, maintaining the strength gained in the pre-season is a key to performance. Most believe that this is best done with a reduced strength training schedule - enough to maintain strength, yet not impede training and recovery. The typical suggestion is to perform 1-2 sets of Major Muscle Exercises (Chest, Back, Legs, etc.). The "Against" Crowd argument goes something like this: The demands of the season require more attention to technical skills (Jumps, Starts, Hurdle/Throwing Mechanics, etc.). Therefore, strength training should be avoidedduring the season. The theory goes that competition and recovery are the important factors and an attempt to further strength development during this phase is unlikely, potentially un-safe, and detrimental to performance. So, who holds the truth? I offer another perspective. Let's first admit that Track & Field has an antiquated approach to Strength Training. This is largely because the Gurus of our sport (that endorse any kind of Strength Training) still suggest Single Plane - Isolation Type of Strength Training (Leg Ext, Abs Crunch, and Biceps Curl). But if you watch Track & Field events, you can clearly see that Throwers, Jumpers and Runners are all athletes moving in a Multi Plane - Multi Joint fashion. So, right off the bat, even the strength work being performed is less than optimal. Recognize that any reduction in Training Intensity leads to a gradual reduction in Strength and Power. Over the course of an 8-week season this would leave an athlete weaker at the most important part of the season. Think Interval Training! Do you do your best interval work in the beginning of the season or closer to the end? Does the work get better as the season progresses? Of course it does! The same holds true for Strength Training. My philosophy is to use progressive strength training in the Off-Season with varied loads, sets, reps and movements. Once the season begins, an athlete should continue this intensity throughout the season to ensure that strength is maintained. This will create the need for increased rest and restorative techniques (Nutrition, Hydration, and Supplementation). However, does it not make sense that more work is required during the season rather than the Off-Season? In the final 1-2 weeks of the season the athlete may scale their strength training to allow for the optimal recovery and performance. Isn't this the opposite of what most Athletes, Coaches and Gurus do? Bottom Line: A progressive strength training program incorporated throughout the season and into the Championship Season can improve performance factors in track athletes. While many people with seemingly greater credentials might disagree with my position, I also recognize that many great truths were once viewed as blasphemous. Frank Pucher is a former 2x All-Conference Distance Runner and NCAA XC Qualifier for East Stroudsburg University. A 6x Boston Marathon Qualifier, he owns a Sub-3hr PR in the Marathon and a 1/2 Marathon best of 1:15. In addition to being the personal coach to many outstanding athletes, Frank is also the owner of Fitness 121 Personal Training in Livingston. He is one of the few Coaches/Trainers to receive certification as an Endurance Performance Specialist from The National Endurance Sports Trainers Association (NESTA). Frank is also certified by The American Council on Exercise and The Cooper Institute of Aerobic Research in Dallas, TX. Visit his websites: TheRunCoach.com and Fitness121Online.com.